Periklis Kleitou holds a BSc in Environmental Biology and Education (University of Brighton, UK) (2011-2014) and a MSc in Sustainable Aquaculture (University of St Andrews, UK) (2014-2017). During his first degree (2011-2014), he was also working part-time in Marine and Environmental Research (MER) Lab Ltd (Cyprus), while since 2014; he started working full-time and concurrently attended a distance-learning MSc. 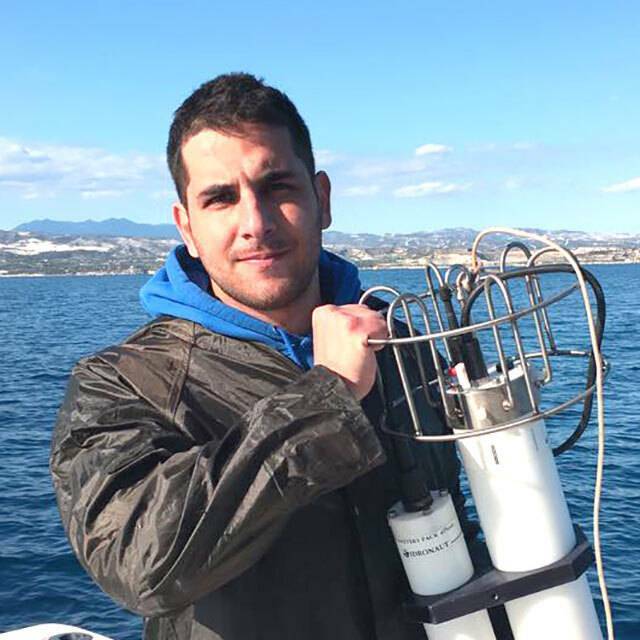 Since January, 2018, he is concurrently working at Plymouth University on the lionfish invasion in the Mediterranean and he is a part-time PhD student; studying the social and ecological implications of lionfish presence in the basin. For the most part he is based in Cyprus where he has been involved and participated in several research programmes/projects related to the marine ecosystem, collection and analysis of fishery and biological data, monitoring of non-indigenous species, evaluation of anthropogenic impacts, environmental monitoring and impact assessments, habitat mapping and baseline surveys, sustainable aquaculture development as well as actions related to the dissemination and increase of the public awareness on environmental issues. He holds good relationships with stakeholders, such as fishermen, aquaculture farmers, local and public bodies. He is a certified diver (FDI Free Diver, PADI Advanced Diver, PADI Deep Dive), boat captain, and first-aid qualified while during his compulsory military service in Cyprus (2009-2011), he graduated first of the 70th Navy Seal school. In addition to his work at the UoP and MER, he is strongly participating in citizen-science projects of the Greek NGO iSea (Environmental Organisation for the Preservation of the Aquatic Ecosystems). His primary research interests include the blue growth development, marine conservation, citizen science, invasive alien species, ecology and social capital.